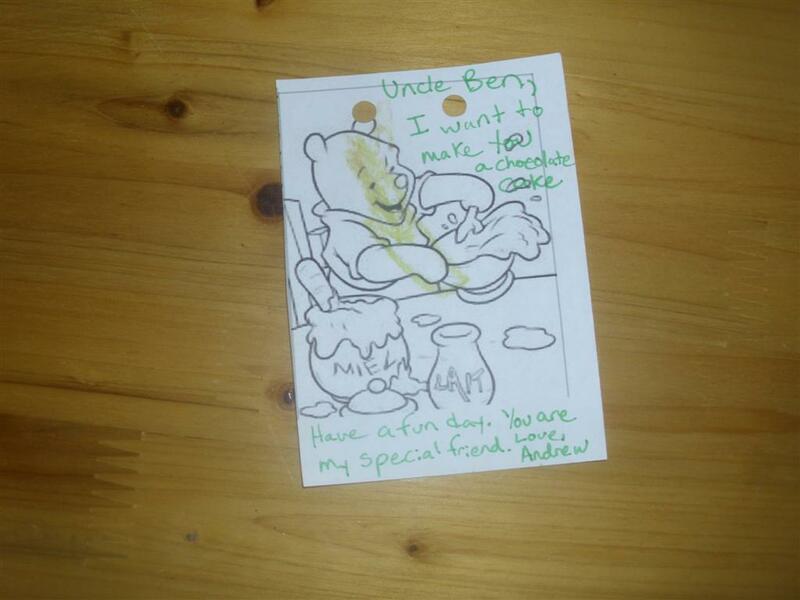 Kids Corner: Let's Catch Up: Happy Birthday Uncle Ben! 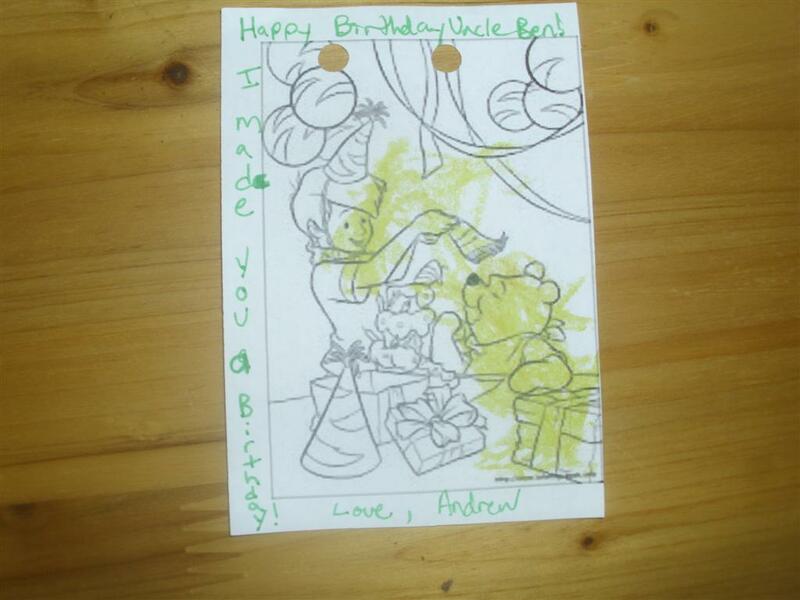 Andrew is constantly making drawings for presents and cards, and birthday cakes out of toys and blankets for Uncle Ben's Birthday. So many that we can't get pictures of them all but here is a couple. Uncle Ben, I want to make you a chocolate cake. Have a fun day.